Do you need a bigger file? The file available on this site is 1024 x 954 px. To obtain an alternate file type or higher resolution copy, please contact the owning institution. 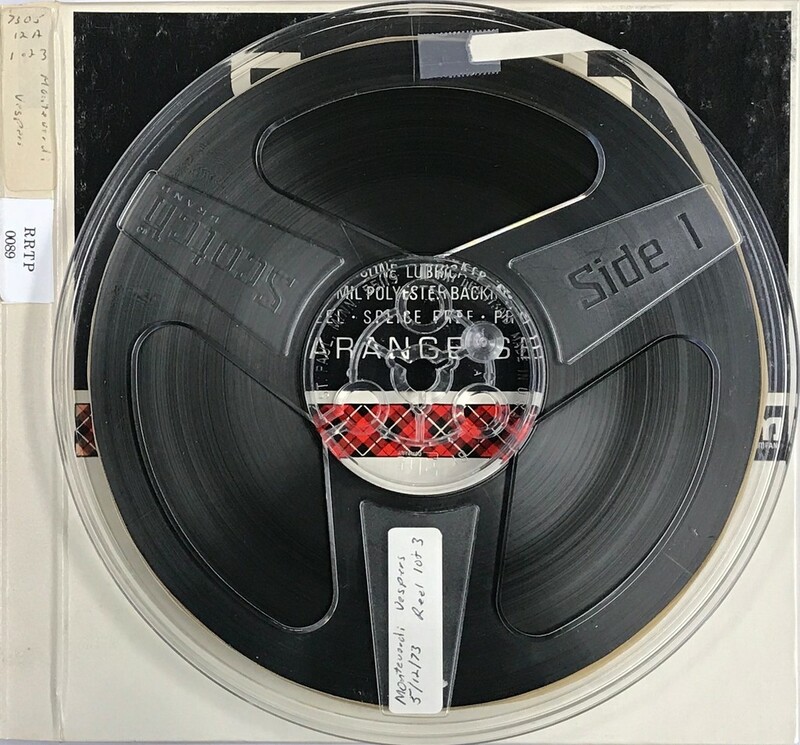 Scope/Content: Audio recording of the UCI chorus and orchestra concert recorded at the University of California, Irvine on May 12, 1973. Scope/Content: Vespro della Beata Vergine / Claudio Monteverdi. Performers: Leon Alexander, tenor ; Michelle Ayers, soprano ; Phillip Cobel Thouin, tenor ; Rick Cornell, bass ; David Dunlap, bass ; Patricia Lacy, soprano ; Cary Lenard, tenor ; Katherine Magill, soprano ; Patricia Notar, soprano ; Deborah Sandford, soprano ; John Sheets, bass ; Debbie Struble, soprano ; University Chorus and Orchestra ; Newell Jenkins, cond.